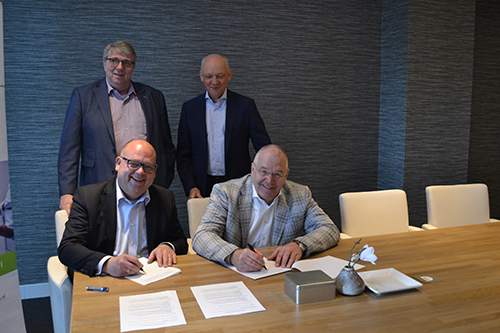 The chairmen of FSV Accountants + Advisors (Michel Girbes RA) and BLM Accountants & Advisors (mr. Henk van der Meijs) are proud to announce that after two years of cooperation and various integrations of their divisions, the cooperation between FSV and BLM will be intensified. The aim is to merge completely. FSV currently has around 125 professionals working in various disciplines (see also www.fsv.nl). BLM has around 25 professionals working in various disciplines (see also www.blmbastion.nl). Both organizations are complementary to each other, says CEO Girbes. “In order to further increase the quality within the disciplines, further scaling-up is necessary”. In addition, Van der Meijs states that “due to the increasing laws and regulations in all areas of work and the rising costs associated with this, you must also scale-up”. “Scaling-up is also necessary to further realize our international ambitions. We are a member of Nexia International (www.nexia.com), where we play and want to retain a prominent role ”, says Girbes. Girbes and van der Meijs are convinced that the continuity of both organizations is further guaranteed. The FSV / BLM group then consists of approximately 150 professionals and 3 branches, namely Amsterdam, Veldhoven / Eindhoven and Zaltbommel and both organizations will continue under their own name for the time being. The Amsterdam Office has recently moved to a new office located at Burg. Stramanweg 105 in Amsterdam. For further information, please email: m.girbes@fsv.nl or call +31 88 9005301 or hvandermeijs@blmbastion.nl or call +31 40 2307800.